For many generations people in the Omo Valley in Southwest Ethiopia believed some children are cursed and that these ‘cursed’ children bring disease, drought and death to the tribe. The curse is called ‘mingi’ and mingi children are killed. Lale Labuko, a young educated man from the Kara was fifteen years old when he saw a child in his village killed and also learned that he had two older sisters he never knew who had been killed. He decided one day he would stop this horrific practice. Filmed over a five year period we follow Lale's journey along with the people of his tribe as they attempt to change an ancient practice. John Rowe is a first time filmmaker who began his journey in film at the US Naval School of Photography. Following six years in the USNR as a camera operator and photographer for various Navy documentaries John pursued a twenty-five year career producing video games and CG animated films for video games. 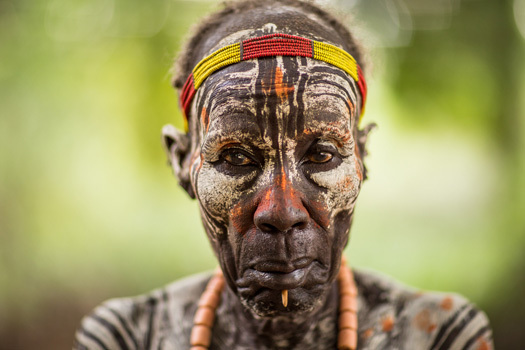 In 2004, John first visited the Omo Valley in southwest Ethiopia and returned many times as a photographer exploring the tribal cultures of the lower Omo Valley. In 2010, John learned about the killing of children thought to be cursed and of Lale Labuko, a young man from the Kara tribe who was rescuing some children. Lale needed help to support the children he and his organization had rescued. Tyler Rowe co-produced and directed the photography for Omo Child: The River and the Bush.